Why do cats have cute little jellybean toes? Learn this and other cool facts about your cat's feet. I’m sure I can’t be the only cat slave who likes giving my furry friends foot massages. My cats seem to find the act of being rubbed between the toes and having their claws gently extended to be quite relaxing. I can’t say I blame them. But what’s really cool is that in addition to being cute, cats’ feet are an amazing anatomical achievement. Check it out. Compared to us, a cat’s rear feet are huge in proportion to his legs. If our legs were built the same way as cats’ back legs are, our feet would be as long as our shins. 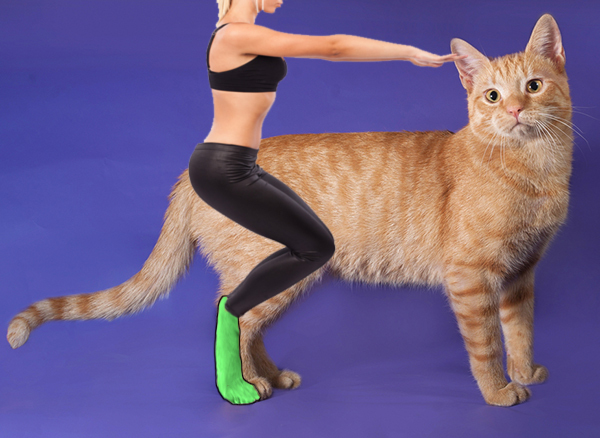 Cats are digitigrade walkers, which means that instead of walking on the heels and the balls of the feet like we do, they walk on the balls of the feet and the fingertips. Our fingernails grow out of the flesh at the end of our fingers, but cats’ claws actually grow out of the bones at the end of the paws. That’s why declawing is much more than just “trimming the nails.” In order for a cat’s claws to be removed, the last bone in every paw is amputated — and that’s just one of the many reasons I believe declawing is cruel and unnecessary. 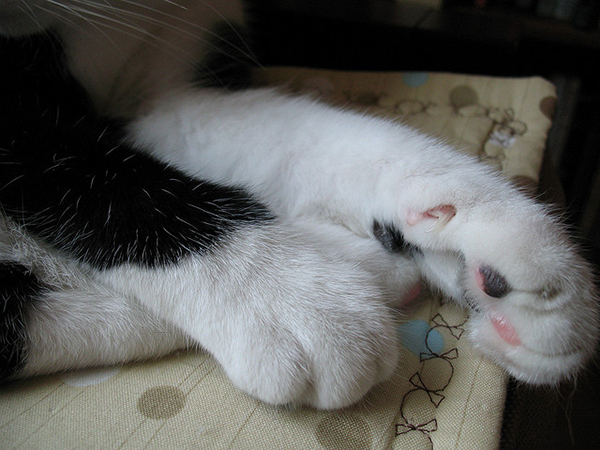 Cats’ paw pads are thick and contain a lot of fatty tissue. This allows the paw pads to serve as shock absorbers when cats jump and means that cats can walk almost silently when stalking their prey. The paw pads also insulate the feet and serve as the housing for the claws when they’re not in use. 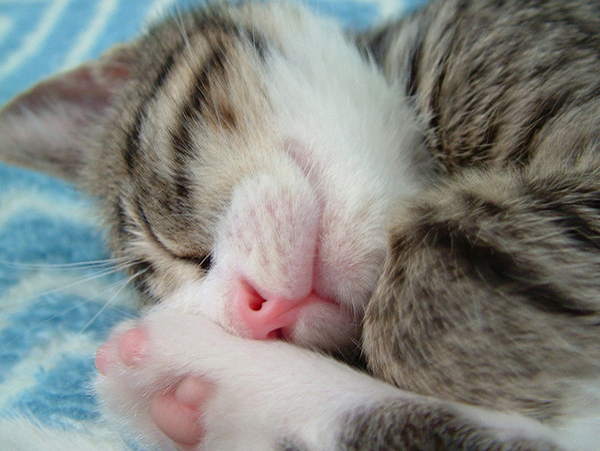 The paws are the only part of a cat’s body that has sweat glands. Although the paw pads don’t have enough surface area to do much in the way of controlling a cat’s body temperature, a nervous cat can certainly leave little sweaty pawprints on the exam table at the vet’s office. Black cats have black pads, white cats usually have light-pink pads, orange cats have orange pads, tabbies may have brick red or gray pads, and so on. If your cat is multicolored, the odds are good that his pads are multicolored, too. In solid-colored cats and in some purebreds, the color of the paw pads matches the color of the nose leather. 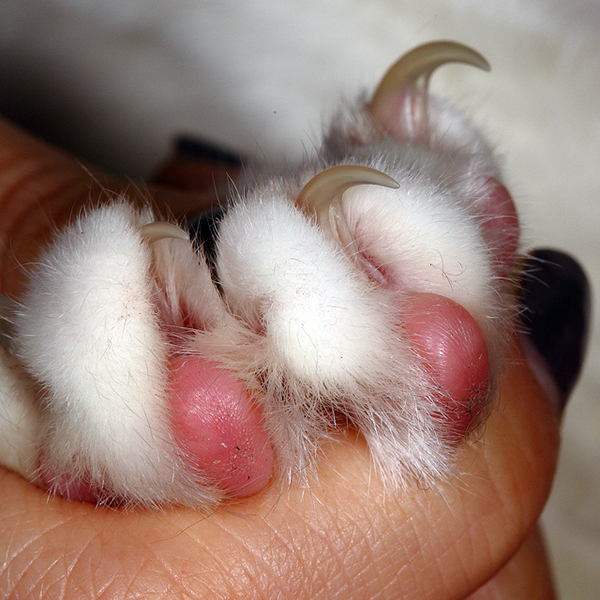 What would you like to know about your cat’s paws? Does your cat have unusually colored paw pads? 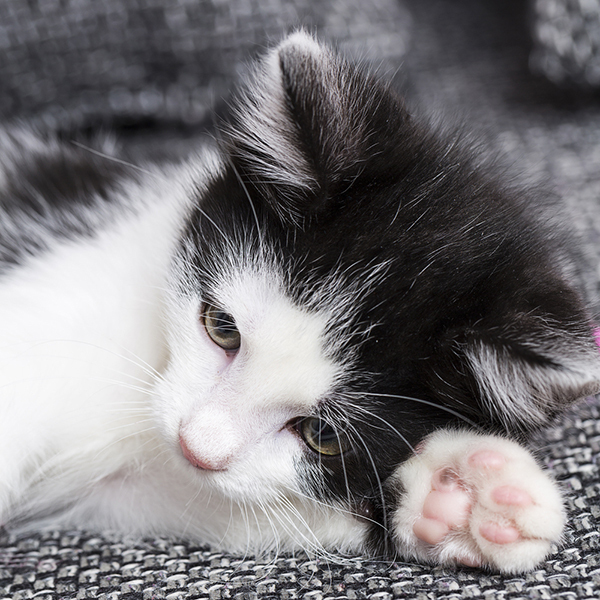 Share your thoughts and photos of your kitty’s paws in the comments.